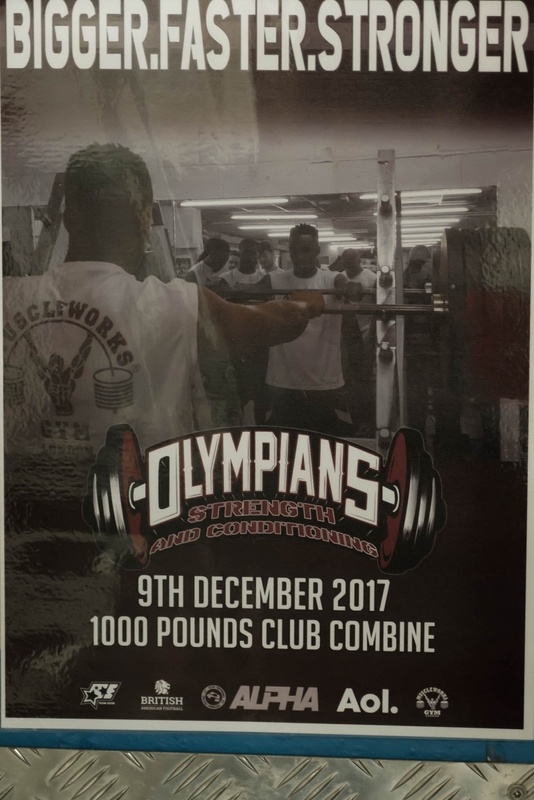 Olympians combine December 2017 took place at the Muscleworks Gym in Bethnal Green. This is the last such event before the gym moves to new premises. 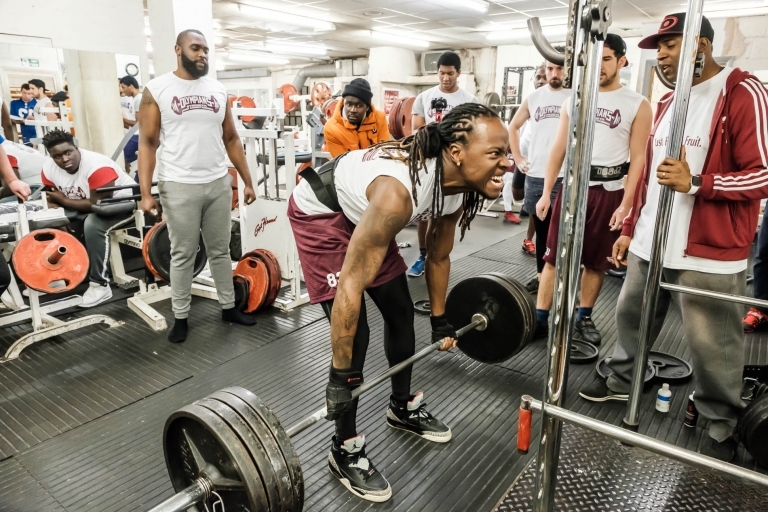 The event is as much about encouraging each other as a team as it is lifting the biggest weight. Some of the guys spend a lot of time on weight work. Just as an idea on the weights involved here. Those of you who know me are aware that I am not the most svelte of people. I weigh in at 105kg. This was the starting weight for many of the competitors. 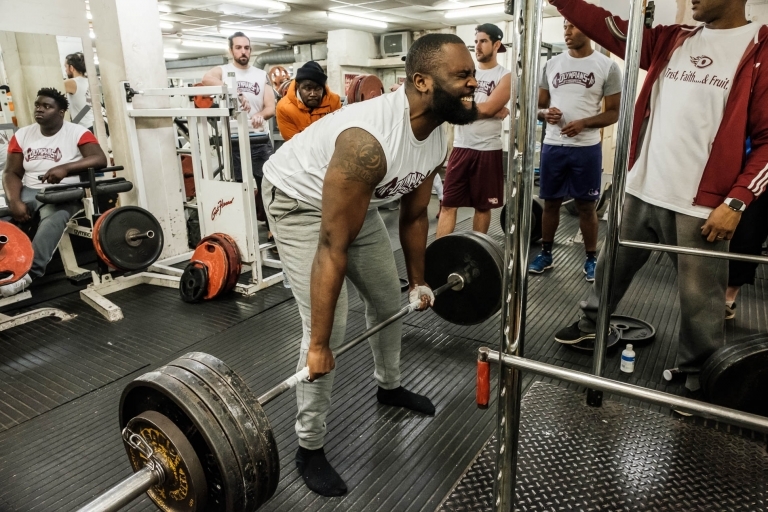 Each competitor is allowed three attempts at each exercise to reach the maximum possible weight. 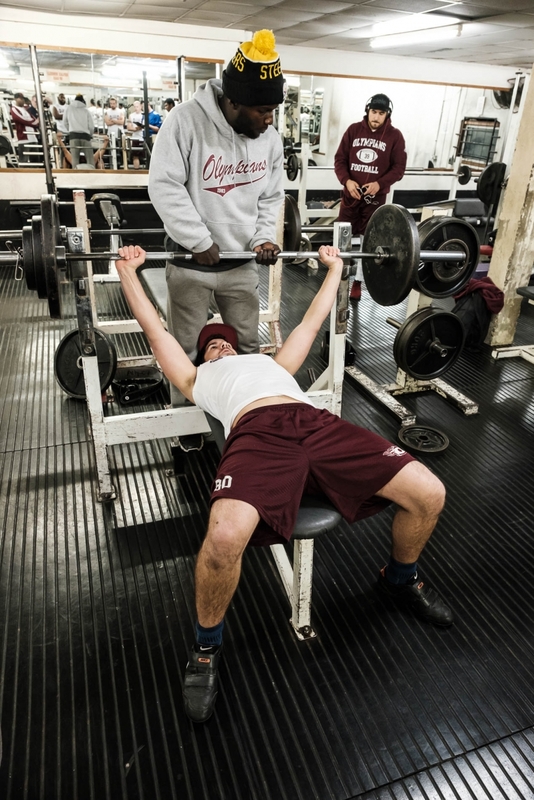 You will see from some of the images that our Olympians were having to really dig deep into the reserves of concentration and strength. Many great performances. I have great respect for each and every one of them as the most I ever lifted was 100kg That was many years and lots of beer and curry ago. The competitors were well into the 200’s at the conclusion. 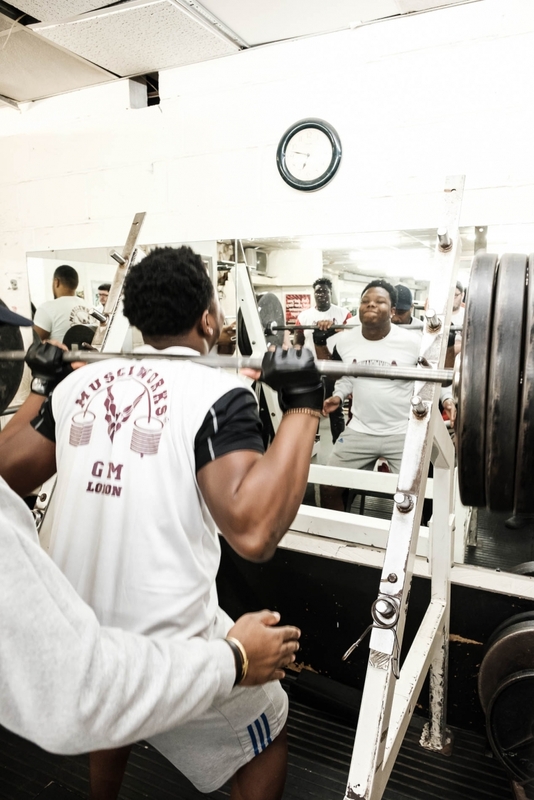 One dark horse on the squat was coach Hutchinson who slid in during natural breaks and made lifting big weights look so so easy. 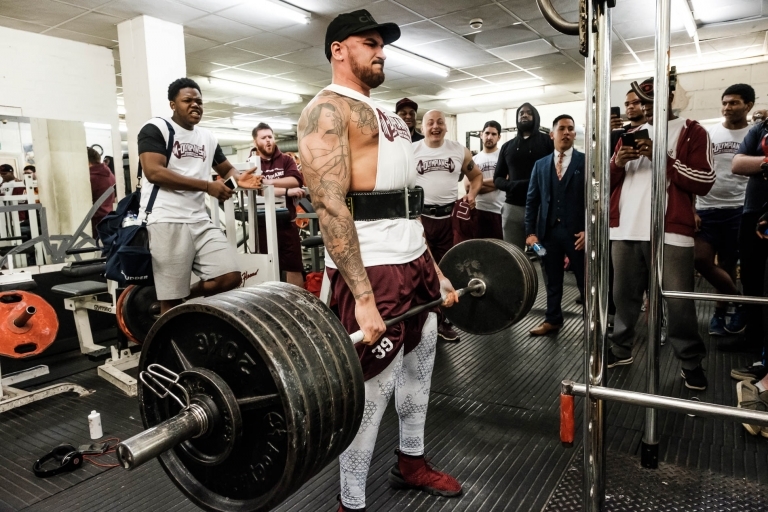 He was too modest to tell me his background with weights but obviously no stranger to lifting them. I’m looking forward to seeing the guys playing in the premier division again in 2018 – someone will feel it when they get hit by these guys.